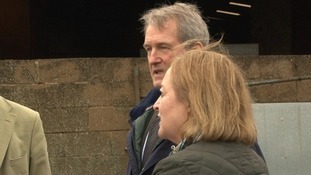 The Environment Secretary Owen Paterson has been in Northamptonshire today listening to the concerns of farmers and local businesses. 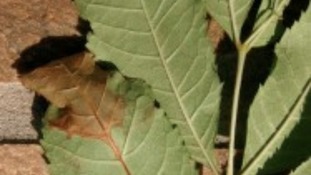 Experts at the University of East Anglia in Norwich have developed a smart-phone app to help fight ash dieback disease. Called Ash Tag the device holds photos of trees with ash dieback, so anyone who thinks they've spotted it in their area can use the app to check. They can then send photos into a team of environmental specialists for analysis. Here's the link to the Ash Tag website. Imports of ash trees will be banned in an attempt to stop the spread of a disease that has been found in woods in Norfolk and Suffolk. Imports of ash trees will be banned from Monday in an attempt to stop the spread of a disease that has practically wiped them out in parts of Denmark. A disease which has wiped out 90% of ash trees in Denmark has been found for the first time in mature forests in this country - right here in East Anglia. Ash dieback is spreading far faster than expected raising fears of an outbreak as devastating as the impact of Dutch Elm Disease in the 1970s when 25 million trees died in the UK alone. Ash trees at Pound Farm Wood near Framlingham in Suffolk and Ashwellthorpe in Norfolk are among those affected. A virulent disease which has wiped out ninety per cent of ash trees in Denmark has been found for the first time in East Anglia.